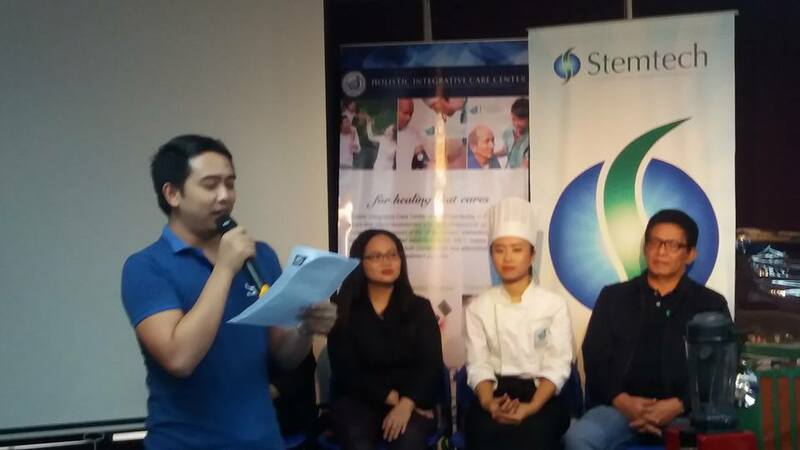 Holistic Integrative Care Center (HICC) has invited guests to its media launch held at the StemTech Office yesterday. This is in line with their thrust to bring the goodness of life and healing that cares to every household nationwide. 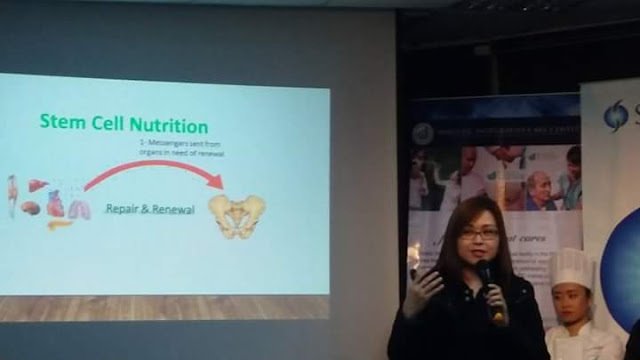 Holistic Integrative Care Center is a medical facility located in Makati City, Philippines that offers revolutionary and multi-dimensional approach to clients using the so-called “Future of Medicine – Integrative Medicine” treating chronic degenerative diseases. Regenerative medicine is a game-changing area of medicine that offers solutions for people who have conditions that are considered challenging and beyond repair. With the potential to fully heal damaged tissues and organs, Regenerative medicine promises new ways to repair cardiovascular damage and cancer. Advancements in the field of Stem Cell Research and Regenerative medicine offer efficient solutions to chronical health disorders challenging the humanity across the globe. There are afflictions that tend to be positively impacted by stem cell research. Stem cells have long been studied for their potential in regeneration of damaged tissues. Human body comprises more than 200 types of cells, and every one of these cell types arises from stem cells. Adult stem cells have been found in the brain, bone marrow, blood that act to support optimal organ and tissue function. Stem cells have the potential to develop into many different cell types in the body during early life and growth. Different types of stem cells were found from different places in the body many tissues and organs contain a small number of adult stem cells that help maintain them. As we age, the number of stem cells gradually decrease, making the body susceptible to age-related challenges. Since stem cells are necessary in maintaining proper organ and tissue functioning in the body, increasing the number of circulating adult stem cells is probably the single most importsnt thing you can do to maintain optimal health. Stem cell enhancer products can help in supporting the natural role of adult stem cells. Stemtech was founded in 2005 by co-founders Christian Drapeau and Ray Carter. Drapeau is the company’s research scientist and neurophysiologist. He has over 15 years of experience in the fields of nutrition and natural foods. Ray Carter is currently CEO and president of Stemtech, bringing over 2 decades of experience in direct selling and marketing to the table. Stemtech is a Science-based company with patented nutritional products that support the release, circulation and migration of stem cells to tissues and organs--including the skin. Its DermaStem Renewal Serum supports the proliferation of adult stem cells into the skin for renewal and rejuvenation of the epidermis. StemTech specializes on products that target adult stem cells and have clinically help support the body. 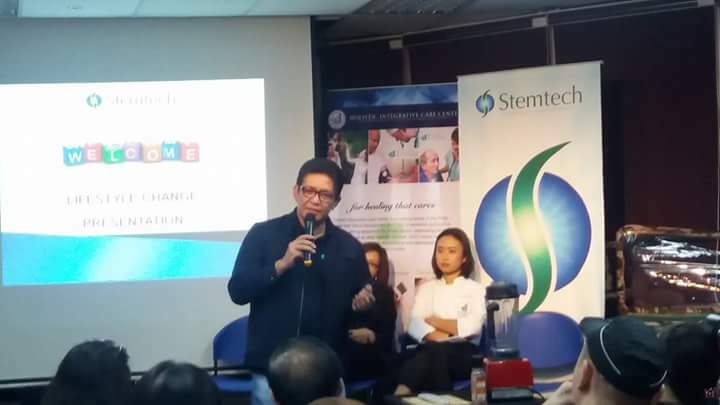 Apparently, StemTech came about after years of research into freshwater plant Aphanizomenon flos-aquae” (AFA) and it's consumption let the human body releasing more stem cells. The company has successfully made it to the Top 500’s list of “The fastest-growing private held companies in The US” four different times. The unique supplements the company makes are designed to maintain and repair your bodies stem cells. StemEnhance is a breakthrough, natural botanical extract that supports wellness by helping your body maintain healthy stem cell physiology. It is the very first product on the market from the latest phytoceutical product category called "stem cell enhancers". Take two of StemTech's StemEnhance pills a day and help your body to heal itself so that you can delay the physical effects of ageing. StemFlo is an all-natural supplement backed by Science to improve blood circulation. Its unique blend of herbs, nutrients and botanicals helps in reducing oxidative stress, breaking down excess fibrin build-up and aids in purifying the blood. The products are only available through Stem Tech distributors, and the specific technology used in them can't be copied by any other company because StemTech has got a patent on it. Including the US, Stemtech currently serves 35 countries. Stemtech Philippines was launched last September 19, 2009 as a branch of Stemtech International, Inc. in Florida, U.S.A. More than a thousand distributors, local and foreign gathered and witnessed the event graced by Stemtech CEO Ray Carter. The event proved to be a success with the signing up eventually of more than 2000 distributors in the next year to come. The office is well supported with an excellent computer system that allows our distributors to do remote business transaction from ordering to checking their genealogy. provide our business partners with the opportunity to earn residual income and the chance to create a future with more choice, more freedom and more of the things that they desire! Aside from the income, independent business partners will have chances to enjoy life through the incentives and promotions the company introduce from time to time. As more and more Filipino began to benefit from StemEnhance, many also enjoyed the extra earnings as a business partner. Their amazing stories are widely varied from clarity of mind to cardiovascular health and many others. This just shows how Stemtech changes lives and how Stem Enhance improves the quality of life. The path of natural health and wellness is a life-long journey that requires personal responsibility. Holistic wellness can only be achieved by committing to a balanced lifestyle. HICC makes use of all appropriate therapies, both conventional and alternative to provide patients with the best treatment possible. Do visit the Holistic Integrative Care Center to learn more about StemTech products and how it can help you optimize your health.